Call @ 09810723370:- One Day Delhi Local and Outstation Tour Packages - Delhi Sightseeing City Tour Packages By Car Taxi Rental Service - Car Taxi Hire For Agra Tour Packages - Cab Hire Delhi To Jaipur Tour - Cheap Car Rental For Delhi Tour Packages - Same Day Delhi Tour Packages By Car - Taxi Hire in Delhi For Local and Outstation - Delhi Same Day Tour Packages - With unique holiday trip. # Car Taxi Rental For Delhi One day - Same Day Tours Packages Call +91-9810723370. Unique Holiday Trip is a best place where you can get a set of One Day Delhi Same Day Tour Packages By Car wrapped up with various beneficiary packages delivering best towards having a look to the nature. Agra, Jaipur, Haridwar, and many places are near to Delhi. For visiting all the places those are closer to the Delhi, you can grab any of the streamlined tour without paying any extra cost. If your concentration is only for viewing Delhi within a day then, you can go for it as we have Delhi Full day Sightseeing Tour under Delhi Same Day Tours where we will provide a car with driver that will assist to see all the well-known places of Delhi within a day. Say you are in Delhi for a business meet and once you are done with the task, you have One day for next flight then, you are welcomed to hire our Delhi Tour services without bothering you for extra investment. # Offered One Day Delhi Same Day Tours Packages By Car Call @ +91-9810723370. Same Day Delhi Sightseeing/City Tour Packages By Car : Time invested in this tour is only day and you will not go beyond Delhi. You can see Red Fort, India Gate, and other places of Capital. Same Day Delhi To Agra Sightseeing Tour Packages By Car : Within this package out target will be letting you visit Agra Tajmahal in one day, we can show you other places if possible. Same Day Delhi To Jaipur Tour Packages By Car : Within time of 24 hours we will help you to get a look of renowned placed of pink city. 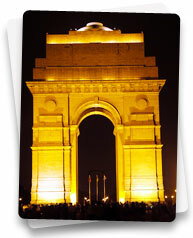 Same Day Delhi Philgrimage Tour Packages By Car : Visit Old Delhi/New Delhi Temples Tour Packages. Same Day Delhi To Agra Mathura Tour Package By Car : To visit all the important temples of Mathura you just need to invest one day and this package is only for you. Same Day Delhi To Haridwar Rishikesh Tour Packages By Car : Another package that puts you near to god is this one; you can visit to Haridwar and Rishikesh in one day. Amongst all these Delhi Same Day Tours packages by car, you can pick up the one according to your convenience.